With the Atlantic on one side and the Gulf of Mexico on the other, the Sunshine State is dotted with seaside gems and hundreds of miles of pristine beaches. The city of Miami is known for its Latin-American influences, thriving art scene, and wild nightlife. Go dancing all night in South Beach, enjoy fresh seafood at any of the decadent seaside restaurants and bars, or go shopping at the Bal Harbour Shops and Design District. 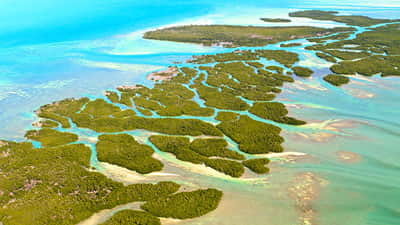 Cruise along azure-blue waters and leave the everyday world behind in the Florida Keys. stretching past the horizon. Go for a pub crawl on Duval Street, explore Alligator Reef, and go fishing for shark, king mackerel, or blackfin tuna in Islamorada, the Sport Fishing Capital of the World. In Tampa, spend the day dolphin watching, riding a thrilling roller coaster at Busch Gardens or checking out the vibrant culture and cuisine in historic Ybhor City. In Caladesi Island State Park, end the day with a margarita and watch the five-star sunset. Edged by some 35 miles of barrier-island beaches in the Gulf Coast, there’s no shortage of adventure in the gorgeous warm waters of Tampa Bay. Year-round sunshine, crystal-clear waters and first-class marinas, yachting and Florida go hand in hand. Surrounded by pristine waters, Southern Florida has some of the calendar’s biggest and best boat shows, including the International Boat Show in Fort Lauderdale, the Miami International Boat Show and the Palm Beach International Boat Show. Peak yachting months are in October and November, and again in March and April for the Miami Boat Shows. Atlantic Hurricane season is from June to November.